I am sure Brandt Snedeker 14/1 will be slightly miffed about his final round 75, if you put the Tennessee Terrors Masters tournament into prospective – to come back from a rib injury and be in the final group at The Masters after only playing two competitive tournaments, where he missed the cut in both is a stunning achievement. If you look at Brandt’s record before that injury of a win and three Top 5 finishes from five tournaments that is great golf. Add to that his sixth place in The Masters and I am sure you can see he will be great value at these odds. As you will see there is a bit of a Masters theme running through this week’s picks and the next one up is Matt Kuchar 16/1. I am sure Matt will be another player who will be itching to get back out there and put his final round 73 to bed. Kuchar was in great position going into the final round at 4-under, but two bogies in his first four holes put paid to that. 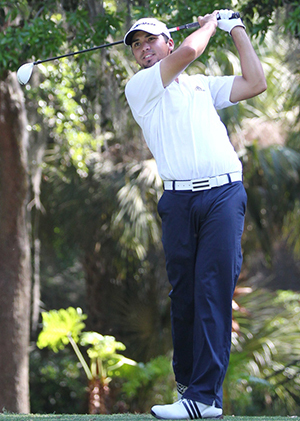 A win and six other Top 25 finishes show the Floridian will be back. Now how much did Jason Day 25/1 celebrate the first Australian win at The Masters and was he drowning his sorrows along with celebrating his compatriot Adam Scott’s win. I think he can take some solace from the fact he shot a final round 2-under 70 to take third place, it was the 73 on the Saturday that really cost him the event, then it was only his final two holes. I think the Australian will come back with a bang here this week. 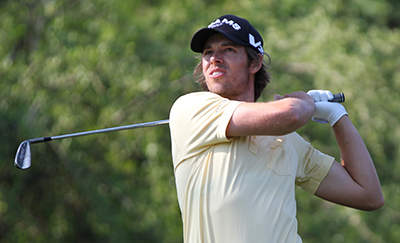 I must admit I have been looking at Aaron Baddeley 50/1 for a while and not tipped him yet, but I have always felt he has been on the verge of becoming a contender. So far this year he has had three Top 25 finishes, with his best finish being a sixth place at the Farmers Insurance Open. Aaron is a three-time winner on the PGA tour but he just always seems that one round away from being a consistent contender. Baddeley has won here before in 2006 and has several Top 10 finishes in this tournament so look for him to do well again this week. Tim Clark 50/1 is another player who had a good Master tournament finishing just outside the Top 10. Tim had a bit of a roller-coaster final round which contained four birdies in a run of seven holes from the 11th unfortunately he also had two bogies in that run and already had two bogies and a double bogey on his front nine. I am sure Clark will be happy with the way he finished and hopefully bring that confidence into this week’s event. This week’s outside bet is going to be Brandon De Jonge 80/1. As many of the regulars to this guide will know we have done quite well on the big Zimbabwean over the years when he starts hitting the bigger odds. Brandon has only won once on the PGA Tour but he is a regular Top 25 finisher and makes the Top 25 in a third of the tournaments he tees it up in and in nearly half of those he will make the Top 10. So at 80/1 he is worth a couple of pound on an each-way bet.